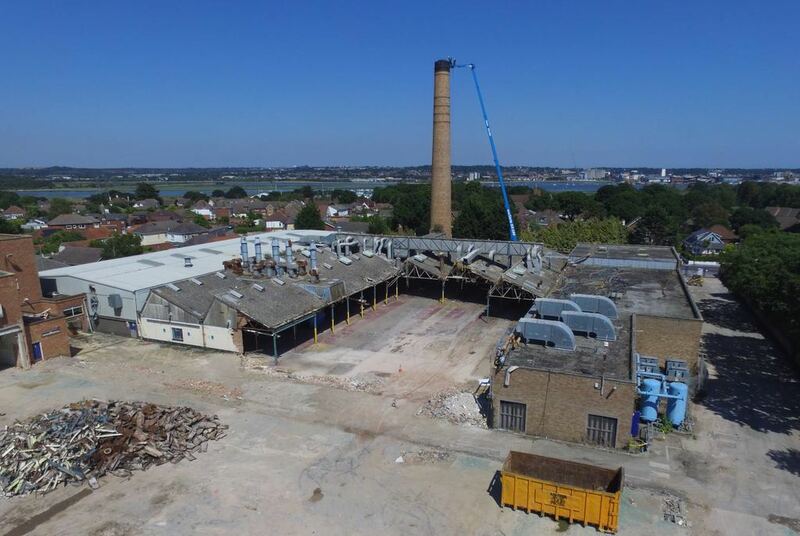 As the UK basks in prolonged sunshine, Hughes and Salvidge have made the most of the beautiful weather to capture some impressive images of our current demolition project at Crown Closures former factory in Poole, Dorset. 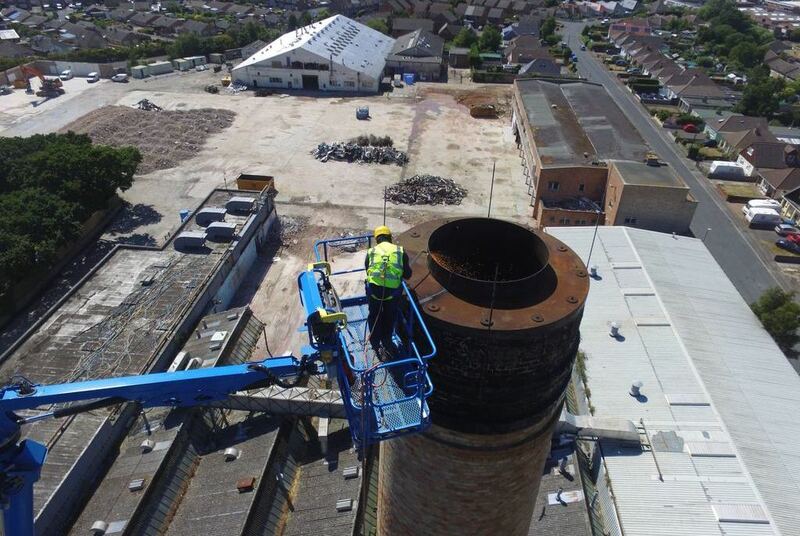 Our scope of works included the demolition of a 45-metre chimney, and as these pictures show, our dedicated personnel went to extreme heights to get the job done. Using a 50-metre mobile platform, our trained, qualified and ‘sun-protected’ operatives started the painstaking process of demolishing the chimney by hand demolition and cutting methods. Once the chimney had reached a height of 15-metres ground-based plant/machinery was then brought in to complete the job.